Sundays are for brunching and on Santana Row, the perfect pairing to your breakfast is a luxury vehicle. The monthly Cars and Croissants on The Row event took place on Aug. 19. 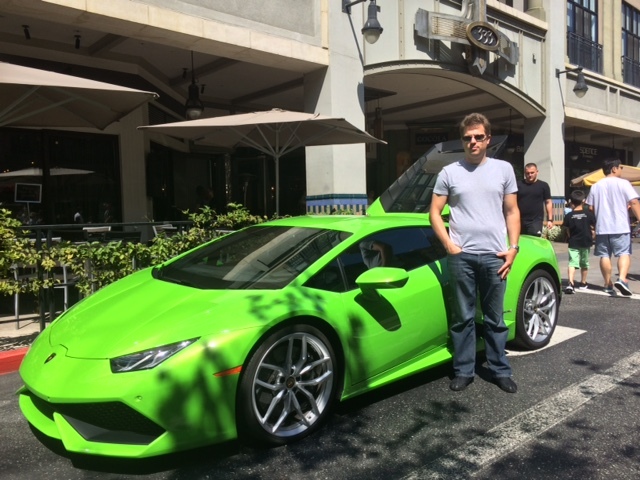 Visitors gathered on Santana Row for breakfast with a view of exotic luxury vehicles. The event was hosted by 100|OCT (“Hundred Octane”), a Silicon Valley-based company that was founded by Benoît Boningue. The company hosts several events throughout the year for exotic car-enthusiasts. Crowds — especially children — “oohed” and “ahhed” Sunday morning as each new exotic car arrived. As soon as the driver stepped out of their car, many children ran up to express how “cool” or “awesome” they thought the car was. While Peter doesn’t attend all the car shows, he is a “semi-regular” and says he has always been interested in cars. A quick Google search will tell you that a car like Peter’s will set you back about $200,000.